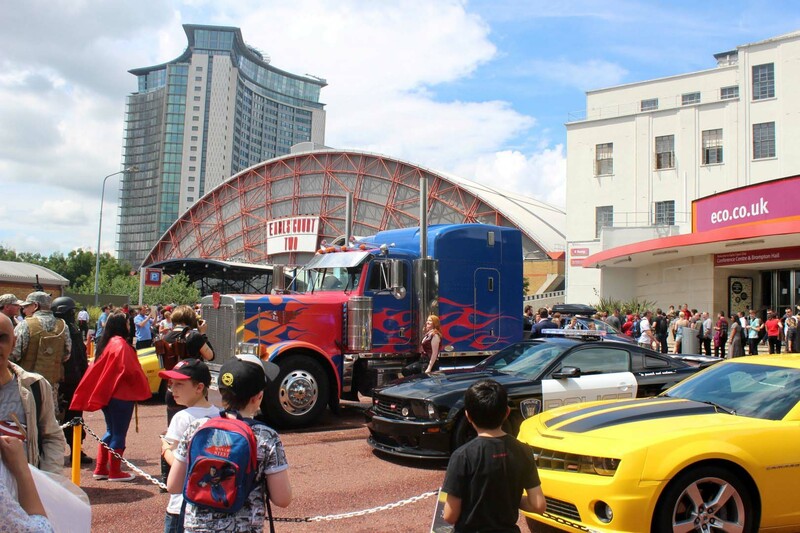 Last weekend saw the biggest London Film and Comic Con yet, with more guests, more comics, more talks, cosplay, stalls, props and games than ever before. Here, we look at the 9 things we learnt from the weekend. 1. Stan Lee is as mega-popular as ever! The event, now in its 11th year, took place in two separate halls for the first time: Earl’s Court 2 and Brompton Hall next door, known by many as the Stan Lee hall, as the man himself was signing there. The presence of Stan Lee – in his last ever European signing appearance – had the whole place buzzing, and the 91-year-old comic book legend proved a mega-hit with the LFCC crowd whether he was signing autographs, giving talks, or taking part in photo shoots. By the way, Stan’s talks, especially, showed just how funny he is – he could have had a second career as a stand-up comedian! 2. All the guests are super-popular! 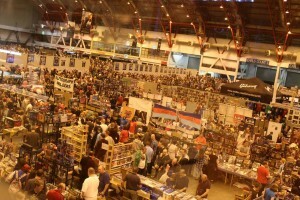 LFCC is the biggest signing event of its kind in the UK, and there were over 100 guests this time around. Aside from Stan Lee, there were loads of very popular guests, including Star Wars’ Carrie Fisher and Ian McDiarmid, who was making his first ever UK signing appearance, and Doctor Who’s Jenna Coleman and John Hurt. There were also tons of guests from popular TV shows including Game of Thrones, Doctor Who, The Walking Dead, Power Rangers and just about everything in between. 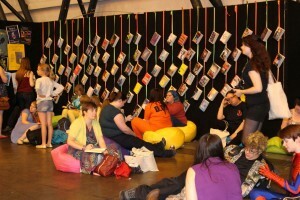 This year also saw the first YALC – Young Adult Literary Convention – taking place within LFCC. This celebration of young adult books was very well received, and offered a reading area, book signings, talks, and a chance to meet the authors. Children’s Laureate Malorie Blackman directed and curated the event, and spoke passionately about how important it was to her. Authors attending included Charlie Higson, Holly Smale and Tanya Byrne. Cosplayers were out in force again, with fans of newer properties like Frozen, Maleficent, Orange is the New Black and Arrow mixing with the usual array of Doctors, Jedis, Spider-Men and Deadpools. Many of them got to show off their outfits in the Cosplay Masquerades. To see our list of the best cosplay we saw over the weekend, head to our Top 10 Cosplays from London Film and Comic Con. 5. Vehicles are exciting too! Prop-wise, the ante was well and truly upped this year. Before you even got inside the venue, you couldn’t help but notice there were several Transformers present, with Optimus and Bumblebee both outside ‘posing for photographs’ over the whole weekend. Inside, there was a huge dragon skull from blinkbox’s Game of Thrones launch. On top of that, people were also able to get a photo of themselves on the Iron Throne! There were also a number of Batmobiles and a 221b Baker Street set for people to enjoy. 6. There are more talks than ever! Between all the amazing photo shoots, autographs, and the hundreds of stalls offering tons of geeky goodness dotted around the hall, comic cons can weigh a little heavy on your wallet. So, it’s great that at this summer’s event there were so many talks, many of which were completely free, and came with the added benefit of the chance to sit down for a bit! This year, one of the most popular talks was the Sherlocked Preview, which saw people pile into Stan Lee Hall for a chance to hear what the event will offer from Sherlock creators Steven Moffat, Mark Gatiss, and Sue Vertue. In addition to talks from guests, there were how-to guides for cosplayers, and authors in the Book Zone imparting their knowledge and experience, as well as reading sections of their books. 7. Don’t forget the comics! Comic writers and artists were there in force again this year, including Dave Gibbons, Barry Kitson and Phil Winslade. And they were all happy to chat or sign comics for free, as well as drawing some artwork especially for guests. Fans of retro games were also catered for at the event. 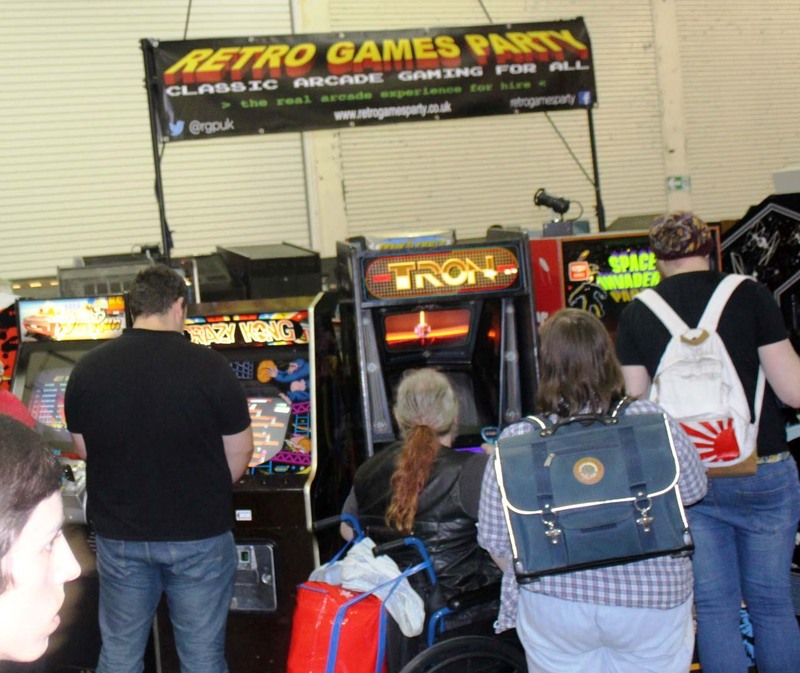 In the Stan Lee Hall, there were arcade machines going back decades, as well as a high-score tournament anybody could enter. It’s a rare joy to get the chance to play on quite so many retro consoles, and it offered the chance to play games from Paperboy and Frogger right up to the latest FIFA, via Golden Eye, and PaRappa the Rapper. 9. Will you be my Queen? Love of comics, movies and geek culture in general is a great shared interest, and as such many people make lots of new friends at events like LFCC. But for some who have already met, it was the place to cement that relationship. There were at least three (those are just the ones we’ve heard about) marriage proposals over the weekend! What better way to get that special person to say yes than to ask them on the Iron Throne, in front of a TARDIS, or in Adventure Time cosplay? We wish all three couples the best of luck for their futures together! Photos by Jade Sayers & James Wheatley.